Amazon recently made news for its long-anticipated announcement of Amazon HQ2, its two new locations in New York City and Crystal City, VA. While the 14-month search process and bidding process was raising concern and buzz, there was another Amazon story that was taking place in the background. In February 2018, Wall Street Journal reported that Amazon was looking to break into the world of medical devices. By upping the ante on their existing medical products business, Amazon hoped to evolve into a device supplier to both hospitals and outpatient clinics. However, Amazon quickly realized that the process was going to be far more challenging than originally anticipated. Ultimately though, Amazon learned that there are inherent challenges within the purchasing and pricing markets. Supply & Demand Chain Executive highlighted the complexities that companies should keep in mind when attempting to break into the industry. 1) The healthcare industry is highly regulated. Any harm caused by drugs or defective medical products can result in lawsuits and the eventual loss of reimbursement and/or loss of accreditation and licenses. As a result, the industry is highly regulated to mitigate risk and there is a slim margin of error. This proves to be challenging for companies who are looking to enter this space—does the benefit outweigh the risks? 2) Healthcare purchasing decisions are driven by a need for reliability, consistency and quality. Time is of the essence when it comes to medical devices. Hospitals and clinics rely on a smooth and trusted supply chain in order to perform procedures on patients. If a shipment of medical devices is delayed, patients and hospital staff are inconvenienced and potentially put at risk. 3) Healthcare providers and their suppliers have already developed a complex purchasing framework. 4) Purchasing networks bring other intangible affiliation benefits. This is also closely related to the previous points. GPOs and healthcare systems have deeply intertwined relationships that are not necessarily easy to disrupt. Amazon, and other organizations who are interested in breaking into the medical device purchasing industry will not be able to rely solely on cost-saving benefits, because GPOs already provide cost-savings plus so much more including reliable timelines, trust, consistency as well as quality. 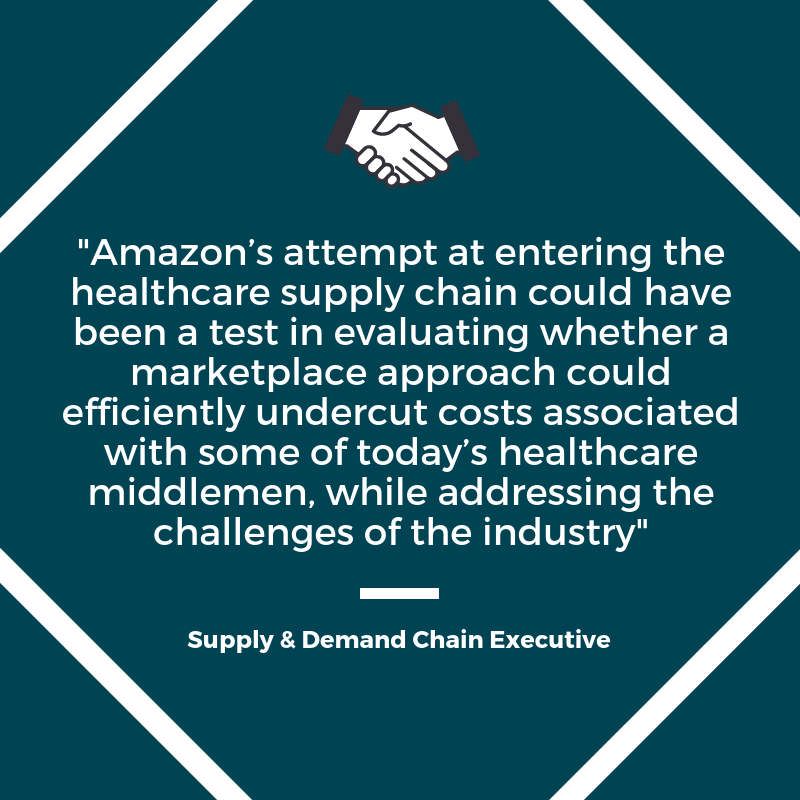 Amazon’s recent challenges show the deep intricacies and complexities of the medical device industry. Want to hear more from GPOs? Join us at Q1’s Medical Device Strategic Pricing Workshop on February 5 to hear from Premier, Inc., Community Health Ventures, TPC, and Capstone Health Alliance in the “GPO Panel Discussion: Challenges & Opportunities In Medical Technology Pricing & Contracting.” Access the program agenda today!